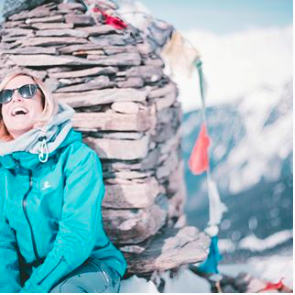 ANDREA: "A fantastic life changing adventure, the workshop improved my snowboarding and pushed me beyond my comfort zone." 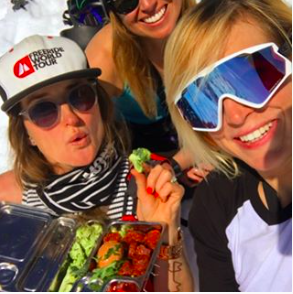 NIKKI: "Jenny and her dream team have created such an amazing snowboarding experience with their knowledge, experience, enthusiasm, laughter and support. I will be signing up again!" ALEC: "A once in a lifetime opportunity to spend a week doing one of the things you love the most in beautiful surroundings and taught by world class professionals in their field who are also lovely friendly down to earth people. Can’t recommend it enough." MARK: "The Jenny Jones Workshop is simply next level, learning from the best you cannot fail to improve - Its time to get your shred on!" AMY: "What a week! I got way more than I thought from Jenny and the coaches. 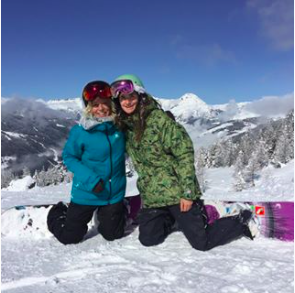 All this has changed the way I snowboard and go about everyday life….an amazing experience, totally worth the leg pain!" SARAH: "The workshop by Jenny Jones was a truly inspiring week, it gave me the confidence to challenge and progress my riding. " 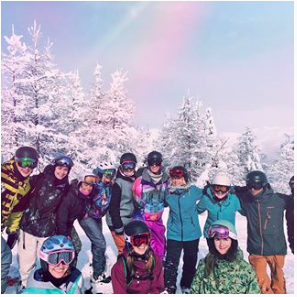 KELLY: "Week spent with fantastic people, gaining new experiences, learning techniques both mental and physical that have completely changed how I snowboard and smashing my own goals.. life changing." STEVE: "An awesome week with QUALITY coaching from Jenny and her team. Probably the most rewarding and enjoyable week I have had away on snow, ever. " 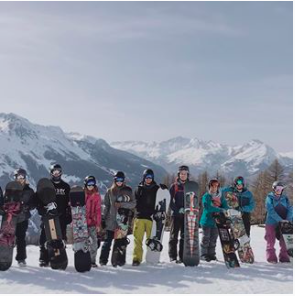 JENNY: "The whole experience exceeded my expectations and I’ve come away with amazing memories and a huge desire to progress further and do as much snowboarding as I can in the future." SUZIE: "A fun, well structured and varied course that covered both freeride and freestyle elements. My technical riding has definitely improved thanks to this workshop and I can’t wait to get back out to the mountains to try all the things we were taught. Thanks jenny and the crew." 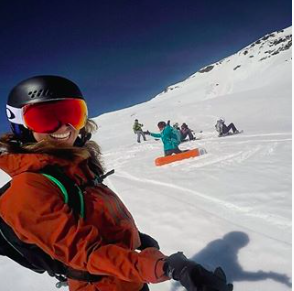 CLAUDIA: "There is no better way to ride than with a crew of snowboarders, topnotch instructors and Jenny and for everyone to be absolutely stoked to be there. Amazing week!" SARAH: "Wow, what a week! I’ve met amazing people, improved my snowboarding and had the chance to ride with one of snowboarding’s best athletes. I loved every minute of the Workshop by Jenny Jones." AMY: "An amazing week, with dynamic and encouraging team, I now feel inspired, energised and have gained life long friendships - thank you."